Home Articles Iwi Institutions in Emergency Management; Fair weather ahead? Article by Tonkin + Taylor a proud sponsor of the Reform or Transform Conference 2018. Author: Manea Sweeney, Principal Planner (T+T) and former Relationships and Environmental Manager for the North Canterbury Transport Infrastructure Recovery alliance (following the Hurunui/Kaikoura Earthquake). “Weathering the storm” is one term to describe the Government’s current review of our national emergency management framework, and its separate agenda to advance Crown/Iwi relations. Both involve substantial risk, whether financial, cultural, social or environmental, and the outcomes of these discussions will shape and influence the direction of emergency management and resource management. 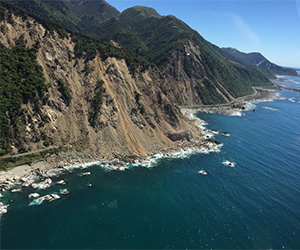 This article briefly explores the nexus of these two discussions, where new ways of working with iwi institutions could lead us to better planning, and quicker response and recovery from natural disasters and other emergencies. In the Government’s recent response to a Technical Advisory Group’s (TAG) report on how New Zealand responds to natural disasters and emergencies, they set out a 12 month work programme to deliver extensive changes to our emergency response system. The goal, perhaps lofty, is to establish a “world leading” emergency management framework. They also list steps that will “take a bit longer”, including; regulation development, legislation amendments and clarifying roles and responsibilities in disasters nationally, regionally and locally (e.g. the ability of Mayors to declare a state of local emergency). This proposal signals a substantial shift in the emergency management framework, and if successful, will initiate the need to change other policies along similar timeframes. The TAG’s report predominantly focussed on the ability, readiness and speed of emergency response systems. However, the Government emphasised that community resilience and preparedness is integral to the overall framework reform. Aligned to this notion, is what the Government summarised as “putting the safety and wellbeing of people at the heart of the emergency response system”. The reform focuses on improving early warning systems, and greater communication and dissemination of information before, during and after an event. The Government recognises the vital role iwi play in centring peoples safety and well-being at the heart of recovery. Te Rūnanga o Kaikōura and Takahanga Marae made national headlines by providing welfare for thousands of people in the days immediately following the Hurunui/Kaikōura Earthquake. Takahanga Marae was a central community provider of food, shelter and logistical support. This is not first time iwi institutions have provided recovery support. Rēhua, Rāpaki and Tuahiwi Marae provided similar care during the 2011 Canterbury Earthquakes, and Te Puea Marae has been a refuge for homeless people in Auckland in recent years. The drive for iwi institutions in these contexts is underpinned (amongst other tikanga principals) by kaitiakitanga (guardianship) and manaakitanga (hospitality), where Maori have assumed a collective agency in care during and after disasters/crisis. Support, however, comes with financial and social cost. Furthermore, Maori institutions / tikanga Maori have had to grapple with complex and challenging “western” management frameworks in their delivery of support. The TAG recommended that the role of iwi be clarified and legislated to enable recognition, and participation in planning for, and responding to, a natural disaster or other emergency. Internationally, this is consistent with the United Nations’ Sendai Framework for Disaster Risk Reduction 2015-2030 – i.e. enabling indigenous peoples to play a greater role in disaster preparedness and recovery. The TAG went so far as to suggest Civil Defence use the recently incorporated Mana Whakahono ā Rohe model for engagement in the Resource Management Act, albeit only two Iwi authorities with one Council are currently under negotiation. The details of how these are to play out is yet to become apparent, tried or tested. The Government has so-far rejected this suggestion, instead focussing on exploring (in partnership) iwi participation in the governance of emergency management, and the role of Marae in disaster events. It is unclear what model may be used for greater governance. Beyond emergency management, the Government has initiated a new agenda to refresh Crown/Iwi engagement. They announced a new Crown/Maori Partnership Office, but its scope, beyond the aspirational, remains unclear. The Rt Hon Andrew Little noted in question time recently, “(as Sir Robin Cooke said in 1987) the Treaty is alive, it is a relationship, and we have to think about what that relationship looks like and how it is conducted in the years ahead”. Tensions are certainly high; with the Iwi Chairs Forum also rejecting the Kahui Wai proposal targeted to address engagement in freshwater management. The “engagement waka” appears to be sitting in a whirlpool of uncertainty across Government. But can we afford to wait? Iwi institutions have proven to be critical in emergency response and their value in planning and preparedness is yet to be fully realised. Regardless of the Government’s intent, the willingness for any participation in emergency management sits with iwi alone. Iwi institutions (the whanau, individual, collaborative group and so on) are demonstrated examples of highly mobilised, well connected members with “heart” at the centre of what they do. However, does a new way of working apply to both sides? The evolution of this discussion will be one of interest and perhaps one that sits in the eye of the storm. With multiple iwi engagement models in practice across the sphere of Government, is it too aspirational to consider iwi will have the capacity or even the willingness to participate? The current murkiness of the role of welfare agencies vs. iwi institutions in disaster planning and response also needs clarification if iwi institutions are to play a greater role. But perhaps most importantly, it begs the question of Maori. Are iwi prepared to accept the risk that comes with emergency planning and recovery whether it is financial, social or environmental? These are critical questions to be addressed in the ongoing complexities of a stronger Crown-Maori relationship, and once resolved, will move us through the storm towards calmer weather.